Our professionalism and best-in-class pool fence provides Miami parents and grandparents peace of mind where their children and water safety are concerned. Watch how this South Florida mother of four reacts to her children easily knocking down a competing aluminum post fence vs Protect-A-Child's unbreakable fiberglass posts. Even we were shocked! 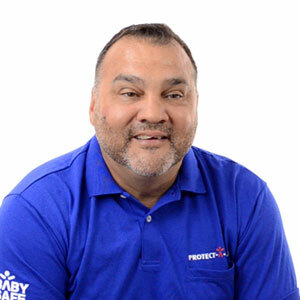 Why Are So Many Miami Families Choosing Protect-A-Child? A nationwide dealer network should you ever move and require re-installation of your fence in another state. Miami offers a wide variety of beautifully constructed new and historic homes with swimming pools. We are blessed with the opportunity to install pool fences for families all over Miami-Dade County, and we are proud to provide families with peace of mind that their children and pets are protected.